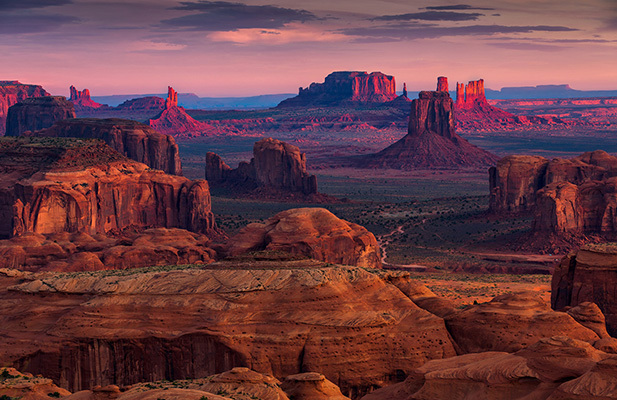 The Old West comes alive in Arizona, mixing antiques and adventure with modern touches. Between the hot air balloon rides, horseback riding excursions, and the Grand Canyon waiting to take your breath away, the PRA team will make sure your attendees enjoy unique activities and venue selections across the state. 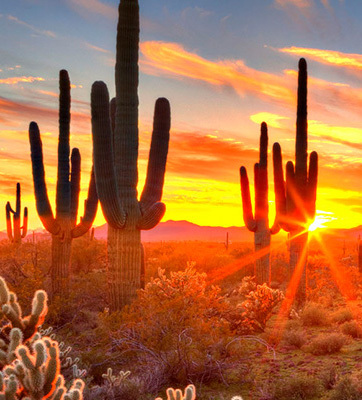 Try a photography excursion in Tucson’s beautiful Saguaro National Park. Or, host an event in metropolitan Phoenix, where a variety of cultural influences create a distinct destination experience. At nearby Canyon Creek Ranch, organize teambuilding authentic cowboy games. How about some relaxation? Reward your sales team with an escape to the mystical nature of serene Sedona. With modern convention centers, three airline hubs and convenient luxury transportation, you have easy access to the vast metro areas and the state’s diverse offerings, ideal for meetings and events. The meeting destination options are as endless as the desert itself. And did we mention all 330 days of sunshine?